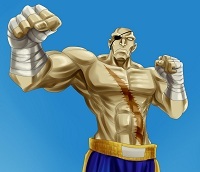 Sagat, the “Emperor of Muay Thai ” is the final boss of the original Street Fighter Arcade Game from 1987. 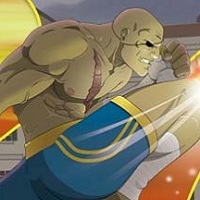 Sagat returned as a unplayable Boss character as the second last opponent in Street Fighter II: The World Warrior, in later versions of the game he was finally playable. As you can see for my entry I took on the king of muay thai, Sagat, who is the final boss of the original Street Fighter. Now technically this is him after the events of the original game, as evidenced by the scar on his chest. I had to do him performing his infamous “Tiger Knee” move, as that to me is his signature. I toyed with the idea of adding an opponent reeling from the blow, and a cheering crowd but ultimately I felt like it would take from the composition, and shift the focus from my subject. Anyways, it’s the usual mix of Photoshop and and Illustrator. 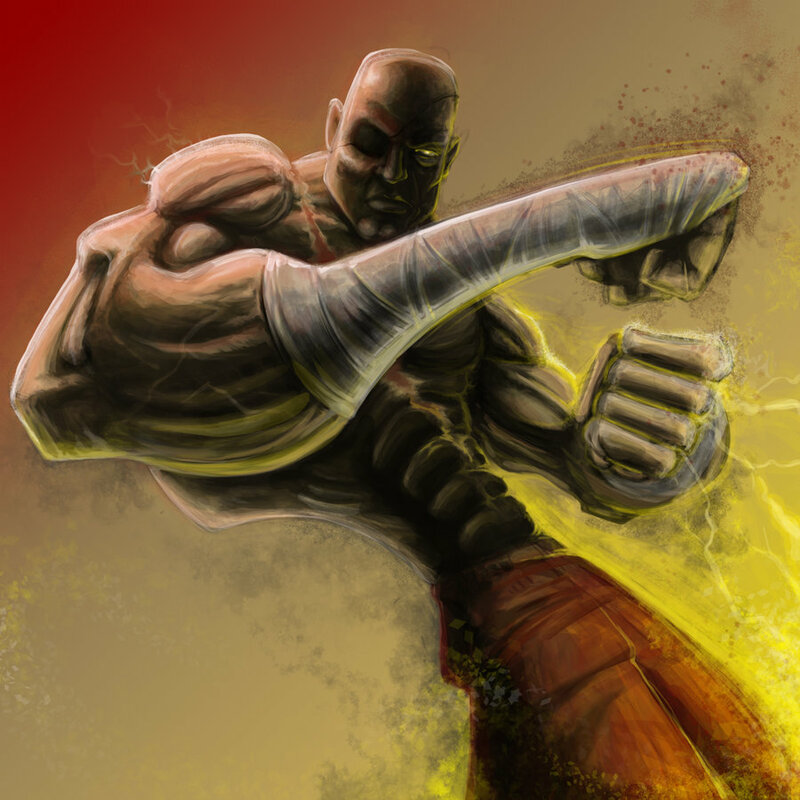 I decided to draw Sagat because is not just a great character of Street Fighter. 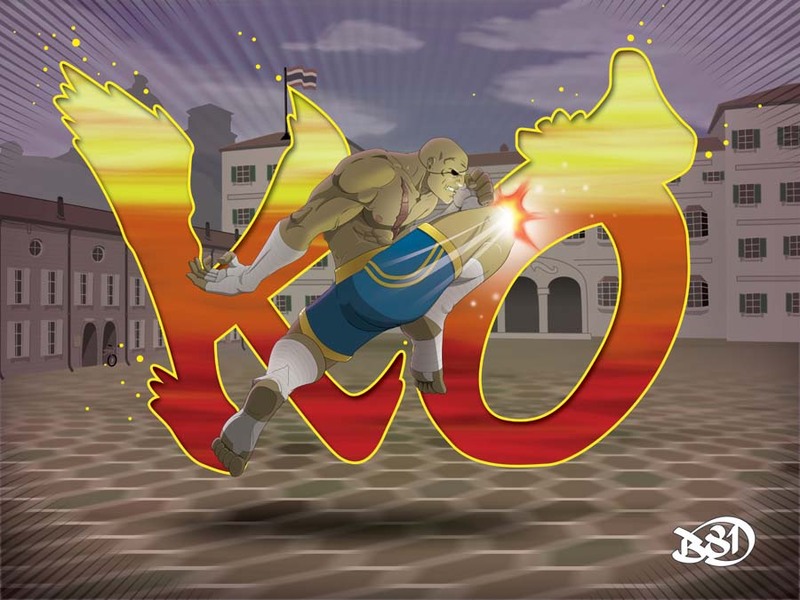 He plays a large role in the plot, first being the undefeated Emperor of Muay Thai. Later joining the bad guys of Shadaloo until realizing the true meaning behind his defeat at Ryu’s hands, eventually getting over his hatred. He is currently looking the true meaning behind the fight, much like Ryu, his greatest rival. Let’s not forget that many of us knew about Thailand because this guy. 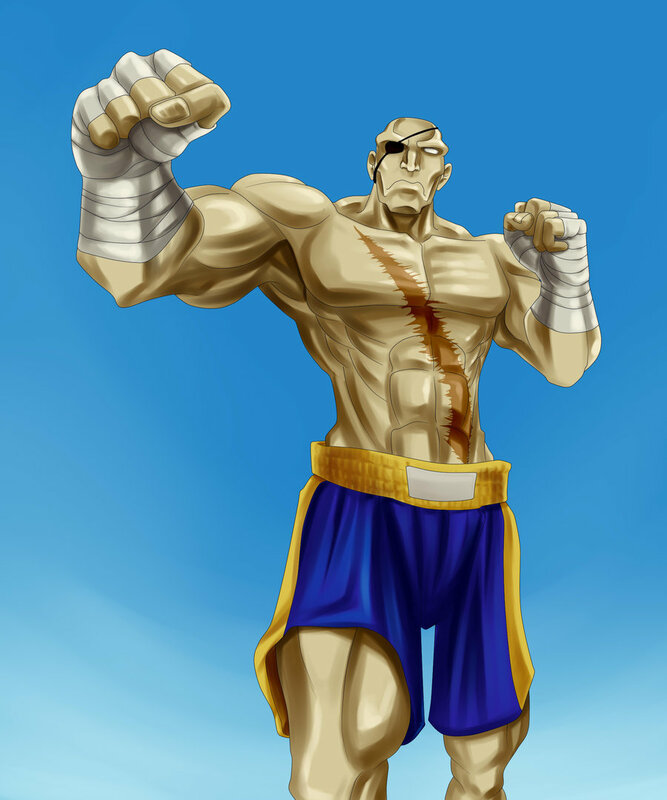 When I was painting it, I realized Sagat is quite the simple design, however, he has few things that make him outanding, namely his height, his bald, his eyepatch, and since SF2 his most remarkable trait : his HUGE scar from the fight with Ryu. 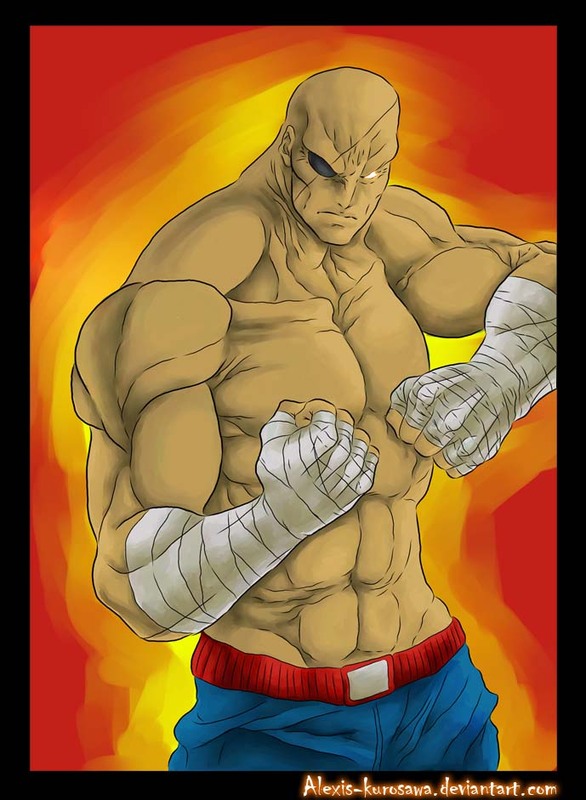 Yes he is Sagat and he doesn’t have his scar, because this is from the first game before Ryu hit him with his Shoryuken….When Sagat was a Final Boss not a middle one…. Not being a huge gamer myself I definitely have a lot of love for the classics though. Street Fighter 2 is probably one of the few games I can name every character. Life’s been more than busy lately, so this unfortunately took awhile, and though I’m not sure it feels finished to me, I am at a comfortable place with it.